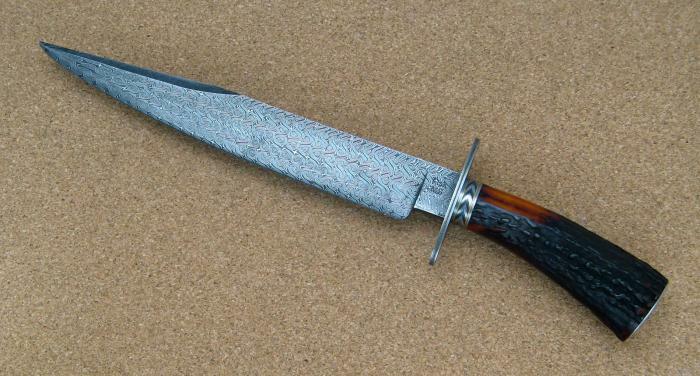 This is the first Turkish twist pattern bowie that I have made. I was amazed at how much loss of material and how much time it took to make the blade. Since it took so much time I decided to go all out on the level of engraving that I can do right now. Hope you like it.